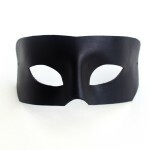 Does the party come before the mask, or the mask before the party? 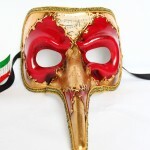 Masks are synonymous with masked costume Balls and the Venetian Carnivale, yet some people love to buy masks just as decorative ornaments or for an event that isn’t your typical costume ball. 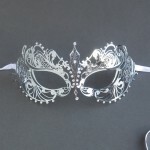 If you love the drama, mystery and elegance that a mask brings to mind and need an excuse to wear one, why not host your own masquerade event? 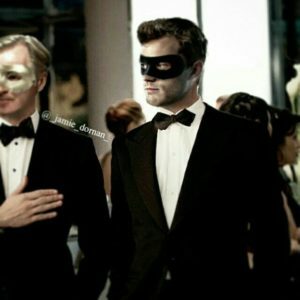 We’ve racked our brains to come up with some alternative masquerade party ideas for you that break away from the norm and offer something that’s both exciting and novel for your guests. 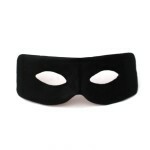 The following lend themselves really well to a masked event and are from a world class provider of murder mysteries. 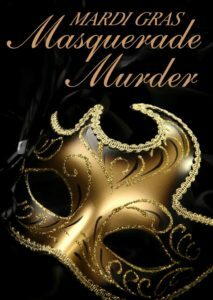 Mardi Gras Masquerade Murder – is set in New Orleans at the time of their big Mardi Gras celebrations. 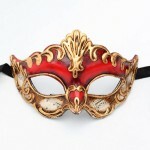 Fortunately you don’t have to wait for Mardi Gras to play! 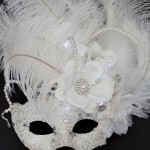 Available all year round, this murder mystery dinner party can play out in your own home over a three course meal, or you can use the large group script version of the same murder mystery game to entertain up to 100 people at a bigger masked ball. 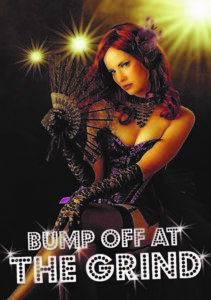 Bump Off at the Grind – is a burlesque themed murder mystery for girls only. 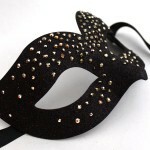 Masks have long been associated with the burlesque world and we certainly have some gems in our collection that would suit a corset-wearing tease. 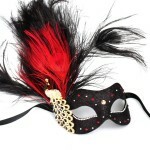 Based on real burlesque dancers (with their permission of course) this murder mystery kit is perfect for hen parties or all girl socials, giving you a real excuse to let your hair down (or put it up) and don a mysterious but tempting mask as part of your new persona. 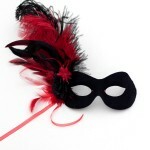 Murder mystery games make great excuses for fundraisers, and what better way to have a spectacular excuse for wearing your mask? 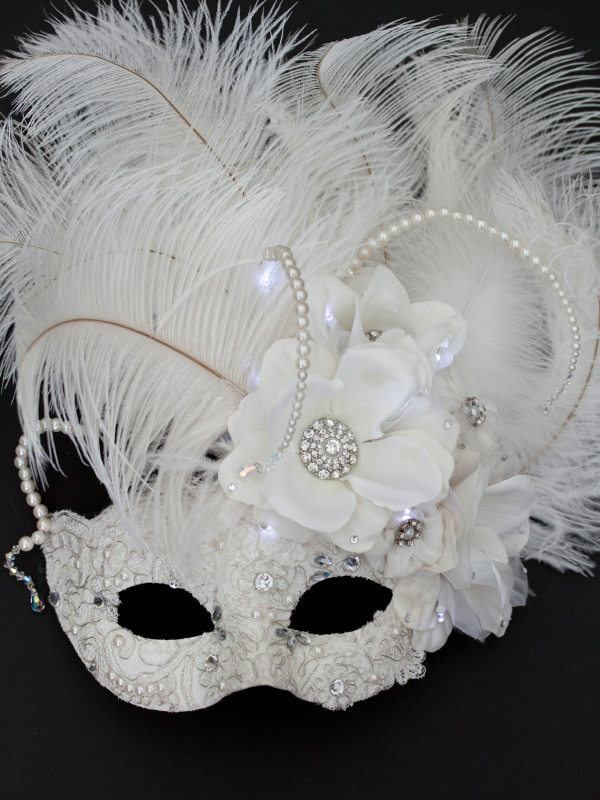 If you want to host a masked ball event and think either of these murder mysteries would be a great excuse, then why not contact us to discuss your mask requirements. 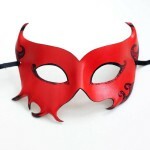 We are linked to a number of wholesalers and will be able to provide you with a bulk discount on cheaper low-cost “off the peg” masks for your event if you wish to supply your guests directly. 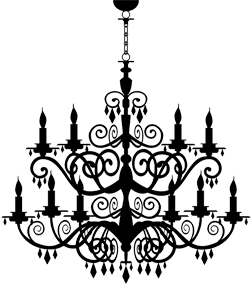 Or, we can offer special discount for your event in the way of a discount code, allowing your guests to choose their own from our unique handmade and exclusive collection. 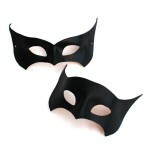 If you choose to go with a particular murder mystery theme and want masks to match, then we can customise these for you with no design fee. 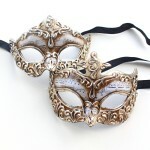 Alternatively, browse through our many lines of masquerade masks for Men, Women and Couples and I’m sure we will have something suitable for you. 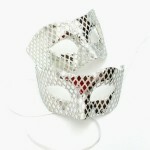 As the dark Winter nights begin to get lighter, the leftover Christmas treats have all been eaten and you think all the celebrating has been done….. well don’t forget Valentines Day! 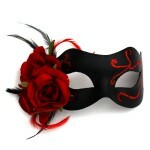 My first ever experience of a Masquerade was actually on Valentines day in London many many years ago. 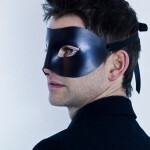 My housemate had invited me and as masks weren’t widely available in those days (I’m not that old – honestly! 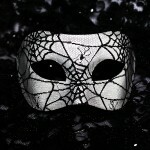 ), I decided to make my own. 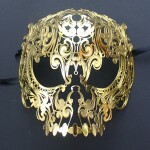 At the time, I worked in Stained Glass Conservation and used my creative skills to put together (what turned out to be a very heavy mask!) a card creation which had lots of copper wire coming out of the top which was wrapped around different copper-foiled coloured glass. 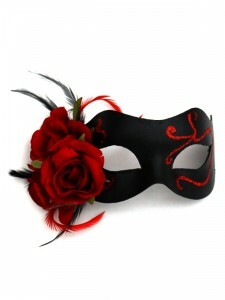 So for those who like to celebrate this romantic day, what better way than to attend a Valentines Masquerade Ball. 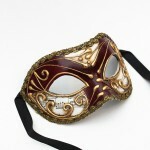 Perfect for couples, first dates and singles – the masquerade lends itself to an air of mystery, intrigue and excitement. 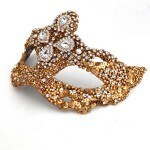 Aside from the dress, the most important item you need to choose is the mask. 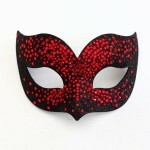 A Valentines Ball is all about elegance and romance and this should be portrayed in your mask. 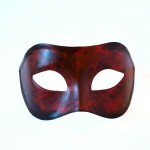 Personally I love the colour red with this theme. 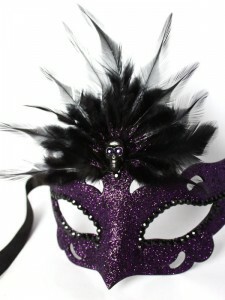 Either as a dress (there are some stunning dresses out there in this colour) or, on the mask. 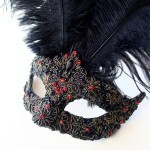 Black & red works perfectly – as does silver and red.